A least developed country according to the Human Development Index, Lesotho is a landlocked country surrounded by South Africa. With more than half the population living below the poverty line, it faces major challenges including high HIV prevalence and a high maternal mortality rate. 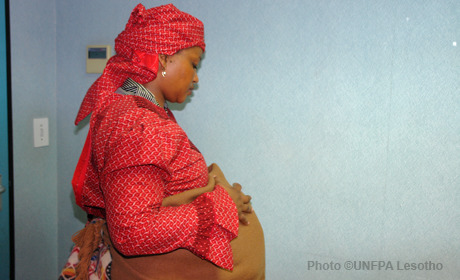 UNFPA initiatives in Lesotho, among others, provide support to reduce maternal mortality, prevent HIV, particularly among youth, reduce gender inequality, and develop quality data related to population issues.